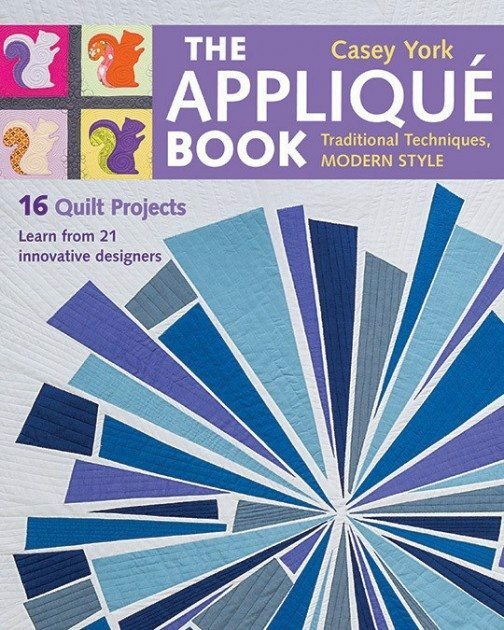 I’d like to introduce you to a great new book by Casey York, The Appliqué Book, Traditional Techniques, Modern Style. It’s a comprehensive guide on applique outlining the techniques for many different kinds of hand and machine applique. Works from 21 designers are included along with 16 quilt projects you can make. And I’m thrilled to be a contributor! Of course I chose to do a project with wool felt and reverse appliqué, because that’s how I roll. This is definitely the smallest project in the book, but it’s also a great gift and wonderful way to practice new techniqués! To see more projects, check out the rest of the tour! If you would like to purchase a signed copy of the book, you can get one directly from Casey here! Great combo of the linen and wool felt! Thanks, one of my favorite combos. Those are some very cool coasters! Neat technique. I think of several uses. Love small projects that are gifty. These coasters fit the bill. Thanks for your inspiration. Me too! And who doesn’t need coasters, right? 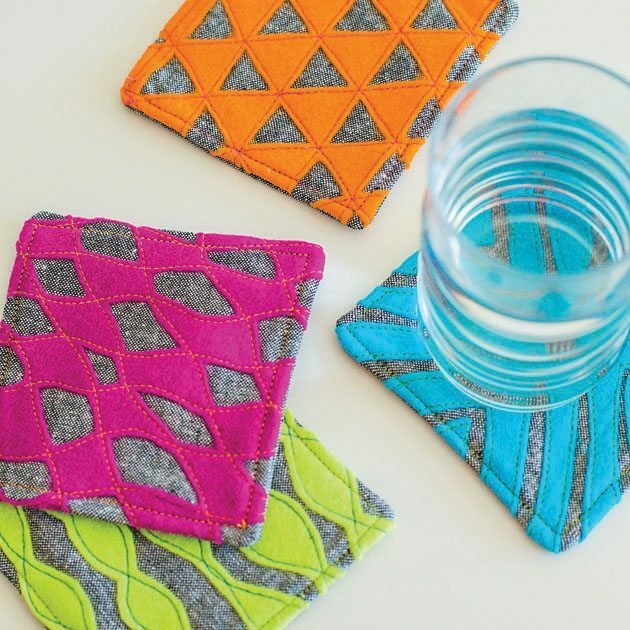 Love your coasters, learning reverse applique is on my to-do list. Great coasters. I like small projects sometimes. Great coaster designs for sure. Super color choices as well.